It was long thought that Macs did not need any form of security software, but this is a myth that has now been dispelled. 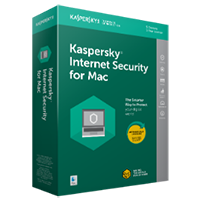 The need for virus protection, protection against malware, malicious web sites as well as parental controls are all important for modern computing, and all things that are provided by Kaspersky Internet Security for Mac. The virus and malware scanning side of things is very much what you would expect, but there’s a good deal more on offer. As is becoming increasingly common, Kaspersky Internet Security for Mac 18 relies on cloud based distribution of information to ensure that the best and most up to date protection possible is provided. If other people using the software start to report that a particular file is dangerous, this will be quickly disseminated to other users so the threat can be removed from their computer if they have it. But threats do not just exist in the form of infected files, there are plenty of malicious web sites that will either attempt to download viruses to your hard drive, or will run malicious code of their own. This is something that the browser component of Kaspersky Internet Security for Mac 18 can help with, analyzing every web page you visit and every file you encounter online. Should anything suspicious be detected, access to the site or file will be blocked. This works in conjunction with the URL scanner which checks for phishing web sites. There is also a handy Parental Controls component that can be used to place restrictions on how your computer is used. Concerned parents can monitor and restrict the internet usage of their children, stop them seeing inappropriate content, online and more. 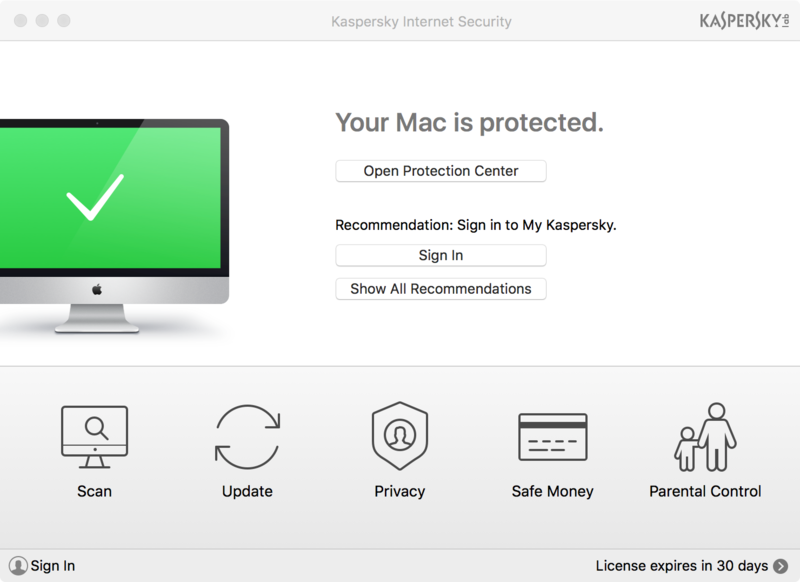 With the new Kaspersky Internet Security for Mac v18, you now receive a Secure Connection module, which will hide your IP address and location on the internet, so people can't see where you are coming from when you browse the web. A Safe Money module adds additional protection when using your online bank. Includes a 1-Device, 1-Year license, enabling you to install on a single Mac.